Adam Hyeronimus has worn the late TJ Smith’s blue and green colours to win on Mister Songman. 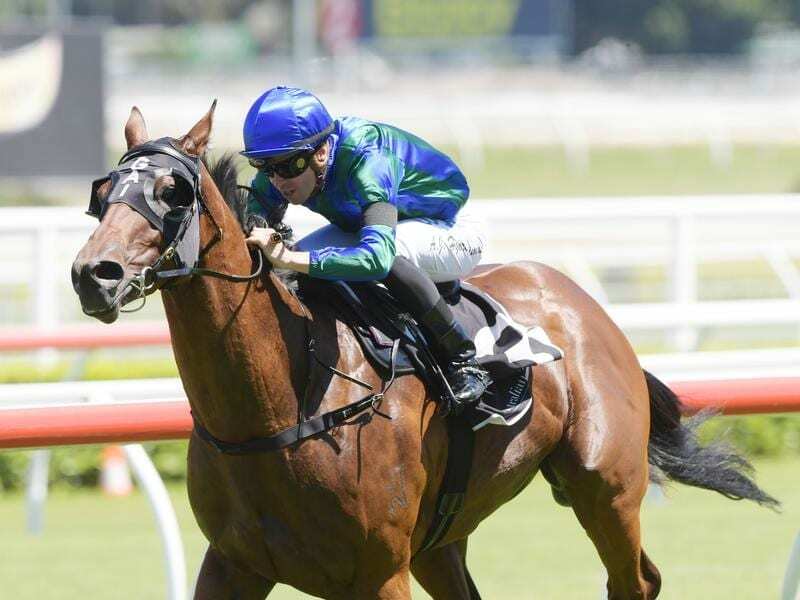 Tommy Smith’s famous blue and green striped colours have been rarely seen in recent years but have been front and centre at Randwick on Mister Songman. The winner of four races in Tasmania, Mister Songman was having his third start for Gai Waterhouse and Adrian Bott in Saturday’s Vale John Marshall Handicap (1400m). Waterhouse introduced her own set of aquamarine colours some years ago with the last Sydney winner in her father’s blue and green believed to be Dana’s Best in the 2015 Australia Day Cup. The colours, worn by Smith’s first winner Bragger, have been sported by such turf luminaries as Mighty Kingdom in the Caulfield Cup (1979) and Bounding Away in the Golden Slipper (1986). Mister Songman may never reach those heights but his seven length margin over Generalissimo signals he has more upside than down. “He has really got his mind on the job now,” Bott said. “That was an impressive win and he can progress through the grades in Sydney before we think too far ahead. Based on his Tasmanian form, his owner John Burke sent him to Sydney for the superior prize money and the hope he can eventually measure up in carnival races. Winning jockey Adam Hyeronimus was well aware of the importance of the silks he had on. “I’ve been a part of the stable pretty much since when Gai put the silks away and it’s a huge honour to ride a winner in them,” her said. The race was named in honour of 1987-88 Sydney premiership winning jockey John Marshall who died early this week from pancreatic cancer. Marshall had a long association with trainer Bart Cummings and rode the 11th of his 12 Melbourne Cup winners, Rogan Josh in 1999.